Hossein Ansari, MD, is a board-certified neurologist and certified headache specialist who specializes in diagnosing and treating headaches and facial pain. He is highly experienced in caring for people with migraines, “cluster" headaches and trigeminal neuralgia. Dr. Ansari’s clinical expertise also includes developing guidelines for managing headaches in the emergency room, trigeminal neuropathy, Botox administration and nerve blocks and sphenopalatine ganglion (SPG) block procedures for head/face pain, and neurological problems resulting from systemic disease. Prior to joining UC San Diego Health, Dr. Ansari established a multidisciplinary headache center at The Neuroscience Center at Neurology & Neuroscience Associates Inc. in Akron, Ohio, and served as the headache center’s director. He was also an assistant professor at Northeast Ohio Medical University and an attending neurologist at Summa Health System. Dr. Ansari has authored articles and book chapters on headache diagnosis and management. He lectures frequently on this topic and has presented at both national and international conferences. He completed his fellowship on headache and facial pain at the Mayo Clinic in Rochester, Minnesota, and his neurology residency at West Virginia University. Dr. Ansari earned his medical degree from Urmia University of Medical Sciences in Iran. He is board certified in neurology and holds subspecialty certification in headache medicine from the United Council for Neurologic Subspecialties. Dr. Ansari is a fellow of both the American Academy of Neurology (FAAN) and the American Headache Society (FAHS). He is an active member of numerous professional societies, including the International Headache Society, where he serves on the advisory council. Mohamed A.Fahmy Zeid completed MBBCH very good with honors on Nov 1982 and completed Master of General Surgery in 1987.He did fellowship in the department of Neurosurgery in 1994.He did doctorate degree in Neurological surgery in 1994.and member congress of American Neurological Surgeons on 2000 He is the House officerin Ministry of Health Hospitals and Alexandria university Hospitals for one year from 1983 to 1984.He worked as physician in the Ministry of Health Hospitals from 1984 to 1987.He is Registrar of Neurosurgery in private hospital from 1987 to 1988.He is Assistant lecturer of Neurosurgical department of Alexandria University Hospitals from 1988 to 1994.He is chief consultant of Neurosurgery in Saqr Hospitals, UAE from 2000 to 2003.He visit to Neurological surgery department, Royal College of Medicine,London in 2001. 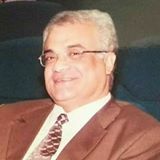 He is working as Professor of Neurosurgery department at Alexandria University from 2010 to till date. Dnipro Medical Institute of Traditional and Non Traditional Medicine. Salkov Mykola Mykolaiovych graduated Dnipropetrovsk medical institute in 1994. After internship training graduation, in 1997, he started work at the post of doctor-neurosurgeon of territorial centre of emergency medicine. From 1999 up to 2007, he was working at the post cerebral neurosurgery doctor-neurosurgeon. Since 2007, he has been working as neurosurgeon in the department of surgery vertebral column and spinal cord. M. Salkov is the editor of 14 scientific journals abroad. He has 57 published works out of which 3 are the declaration patents of Ukraine. He had reports at the 13th world congress of neurosurgeons in Morocco (2005), at the neurosurgery seminar in Austria (2006), 13th congress of European association of neurosurgeons in Scotland (2007), 14th world congress of neurosurgeons in the USA (Boston, 2009), global summit on stroke 2015 (Birmingem, England), EANS 2015 (Spain, Madrid), Eurospine 2016 (Berlin, Germany). He has a grant from CSRS 2017 (European Section: Awards and Grants ( 33 Annual Meeting of the Cervical Spine Research Society – Salzburg, May 24-26).He’s corresponding member of Eurospine and member of North American Spine Society. She is presently the Neurosurgeon , Ministry Of Health Malaysia, Hospital Sultanah Aminah Johor bahru, Malaysia since June 2016.In Hospital Kuala Lumpur and Hospital queen Elizabeth kota kinabalu Sabah served as neurosurgical medical officer starting from November 2006 till 2012. She attended several Conferences and was Chairman for few. Raffaele Pilla, Pharm.D., Ph.D., Doctor Europaeus, received his Master’s degree in Pharmacy at G. d’Annunzio University in Chieti-Pescara, Italy in 2005, where he also served internships at the Cell Physiology Laboratory and Molecular Biology Laboratory. Prior to his degree, he was an Erasmus Student at Faculté de Pharmacie de Reims in Reims, France. He received his Doctor Europaeus in 2010 from Pitié-Salpétrière Institute in Paris, France. Also in 2010, he received his Ph.D. in Biochemistry, Physiology, and Pathology of Muscle at G. d’Annunzio University in Chieti-Pescara, Italy. He was hired as a Postdoctoral Scholar in the Department of Pharmacology and Physiology at the University of South Florida in Tampa, on two research grants respectively funded by the Office of Naval Research (US Navy) and Divers’ Alert Network. He has written and lectured widely on his experiences. Dr. Pilla has been involved in ongoing research at the University of South Florida with the use of Ketone esters. The initial work, funded by the Office of Naval Research, focused on using ketone esters to prevent CNS oxygen toxicity. Dr. Pilla is working to coordinate efforts in the United States and Italy to expand the ketone ester research to other conditions such as epilepsy and cancer and its use as an alternative metabolic fuel. Dr. Pilla has also served extensively in various international medical missions, orphan and homeless programs, emergency medicine rescue and training, and animal rescue and fostering. Abbas Alnaji had his Board degree of Neurosurgery from University of Baghdad and the consultant from Iraqi ministry of health 2015. In 2016 he became the member of editorial board for the journal of Neurology and Experimental Neural Science, by GAVIN publishers. He is also an Associate editor for Global Journal of Intellectual & Developmental Disabilities (GJIDD).Recently he has befit the editorial board member for SciFed Orthopedics & Rheumatology Research journal and Ocular Biology journal. He is interested in research work and has eleven papers published in the field of surgical pathology causation.Interested in the biological bases of medic-surgical pathologies in his field. Dr. Radu Mutihac's main research fields have been Neuroscience, Signal Processing, Microelectronics, and Artificial Intelligence. Yacov Rofé is a professor of psychology and former chair of the Interdisciplinary Department of Social Sciences at Bar-Ilan University in Ramat Gan, Israel. He taught for the Department of Psychology at Washington University in St. Louis, Missouri, and was a visiting professor at Rutgers Medical School in New Jersey.In recent years, Rofé’s scientific work has focused on the development of a new theory of psychopathology, which challenges the validity of traditional theories of behavioral disorders. Rofé wrote a book entitled The Rationality of Psychological Disorders, published by Kluwer in 2000. He has since published four subsequent articles supporting his Rational-Choice Theory of Neurosis (RCTN). 2016). Rofé has completed a new book, entitled Schizophrenia, Criminal Insanity and Neurosis: The Intuitive Rational-Choice Theory of Madness, which demonstrates that medical models reached their esteemed scientific level because of the weaknesses of psychological theories, primarily psychoanalysis, rather than because of the strength of their data. It shows that the new theory can explain the development and treatment of all above behavioral disorders, including schizophrenia, better than rival theories. Distinguished researchers, including Professor Robert Aumann, Nobel Prize Winner in economics, acknowledged the merits of this book. In his letter to the editors, Aumann noted, "Rofé's theory, revolutionary as it is, fits well into the framework of economics, game theory and evaluation." 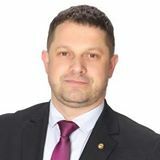 He is presently an Associate professor at the Chair of Neurosurgery of State Medical and Pharmaceutical University “Nicolae Testemitanu”, Chisinau, Moldova. He has done International fellow in neurosurgery, brain vascular microanastomosis and EC-IC bypass training at Stroke and Brain Center of Aizawa Hospital, Prof. Shigeiaki Kobayashi, Department of Neurosurgery, Shinshu University Hospital, Prof. Kazuhiro Hongo, Matsumoto, Japan on June 09- July 10, 2009 .Since 2003, he is a Member of World Federation of Neurosurgeons. He has around 25 List of publications and congress reports. On April 04- June 30, 2012, he did AANS International Visiting Fellowship under Dr. Robert F. Spetzler's observation, Department of Neurological Surgery, Barrow Neurological Institute at St. Joseph's Hospital and Medical Center, Phoenix, Arizona, USA. • Cranial base microsurgery. Minimal invasive "keyhole" surgery. • Microsurgical treatment of cerebral aneurysms and cerebral cerebral malformations. • Microsurgery of pituitary tumors by transphenoidal approach • Cranial base microsurgery, microsurgery of cerebral and spinal cord tumors. He has completed M.B.B.CH in Medicine and General Surgery, Faculty of Medicine, Zagazig University, Sharkia, Egypt in October 2006 with Excellent Grade with honor. He has completed Masters and Doctorate in Neurosurgery (PhD), Faculty of Medicine, Zagazig University, Sharkia, Egypt. In 2017, he was a first part of European Board of Neurosurgery (EANS Diploma). He is a member of several international society which includes Middle East Spine Society, EANS (European Association of Neurosurgical Societies), ASIT "Association of Surgeons in Training", NASS "North American Spine Society". Walter Bini has completed his diploma from Westminster School, Simsbury Conn. U.S.A. and got postgraduate degree from Universidad de Zaragoza, Facultad de Medicina, Zaragoza-Spain. He was Co-director of the Global Spine Unit, Seligenstadt- Germany from 2003-2009. In 2014 he was the Middle East Chairman of ISLASS. 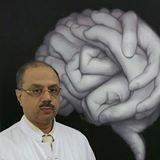 He was Head of Neurosurgery, Sheikh Khalifa General Hospital , UAQ-UAE from 2014-2016.Currently he is Consultant Neurosurgeon, Orthopedic Department, spine section of Lanzo Hospital COF, Lanzo d’Intelvi in Italy and also Visiting Consultant Neurosurgeon, Orthopedic Department of Health point Hospital in Abu Dhabi - UAE. His ongoing project includes Composite for Bio-gradable coating on transpedicular intraosseous fixation devices, MRI Spectroscopy in the Grading and Therapy Monitoring of Gliomas, Active Participant in the GLIADEL Trial (closed). Micro-neurosurgery, Neuro-oncology including streotaxy, radiosurgery, spine surgery including less invasive techniques and neuroradiology. Dr. Alaa Abd-Elsayed joined the faculty of the Anesthesiology Department at the University of Wisconsin in 2014 to provide Chronic Pain Medicine Services as part of the Interventional Pain Program. He received his medical training at Assiut University Medical School in Egypt, completed a master’s degree in Public Health, research fellowship at Cleveland Clinic, and residency in anesthesiology and pain management fellowship at University of Cincinnati. As part of the Interventional Pain Program, Dr. Abd-Elsayed evaluates patients at the Pain Clinic, and when an interventional pain treatment is appropriate, performs procedures at the Madison Surgery Center. He was the winner of the first place research award, OSA, Cincinnati, Ohio, USA. Presently he is he the Leading physicians of the world, America’s Best Physicians, Research featured in MED PAGE TODAY ,Third place at the MARC (senior author), Chicago, IL, USA. Current studies include the use of opioids, genetic variations leading to different individual response to opioids, and the use of neuromodulation and peripheral nerve stimulators for the management of neuropathic pain. He also has research interests in fibromyalgia, complex regional pain syndrome (CRPS) and headaches. Professor Doctor Zlatko Ercegovic is a Distinguished Fellow of New Westminster College. He is a neurosurgeon, Professor and Head of the Department of Spinal Neurosurgery at the University Clinical Center in Tuzla. He is a member of the Neurosurgical Association of Bosnia and Herzegovina, Croatian Neurosurgical Society, and AO Spine, EANS. Professor Doctor Ercegović graduated from the Tuzla University School of Medicine and completed his residency training in neurosurgery at the University Clinical Center in Tuzla, Bosnia-Herzegovina. He obtained his six-month residency training in neurosurgery at the State University of New York at Buffalo and two years at the Clinical Hospital Dubrava, University Zagreb in Croatia. Professor Doctor Ercegović received the Visiting Surgeons Fellowship from the Department of Neurosurgery of State University of New York at Buffalo and finished his three-month fellowship training in spinal neurosurgery at the Department of Spinal Neurosurgery at Kaleida Health’s Millard Filmore Hospital in Buffalo, New York. Professor Doctor Ercegović is board certified neurosurgeon by the Federal Ministry of Health of Bosnia and Herzegovina. Dr. Rajendra D. Badgaiyan, MD, is a psychiatrist and cognitive neuroscientist. He is Chairman of the Department of Psychiatry and Behavioral Sciences at Richmond University Medical Center, and Professor of Psychiatry at Icahn School of Medicine at Mount Sinai in New York. He received formal training in psychiatry, psychology, cognitive neuroscience, molecular imaging and neuroimaging. He was awarded the prestigious BK Anand National Research Prize in India and Solomon Award of Harvard Medical School. His research is focused on the study of neural and neurochemical mechanisms that control human brain functions. He developed the single scan dynamic molecular imaging technique (SDMIT) to detect, map, and measure neurotransmitters released acutely in the human brain during task performance. This technique is now used in laboratories all over the world. Using this technique, he studies dopaminergic control of human cognition and behavior. He is also interested in learning the nature of dysregulated dopamine neurotransmission in psychiatric and neuropsychiatric conditions. His research is funded by NIMH, NINDS, VA, and various foundations. Previously he served in the faculty of Harvard Medical School, SUNY Buffalo and University of Minnesota. He has published extensively in peer-reviewed journals. Hugues DUFFAU (MD, PhD) is Professor and Chairman of the Neurosurgery Department in the Montpellier University Medical Center and Head of the INSERM 1051 Team "Plasticity of the central nervous system, human stem cells and glial tumors" at the Institute for Neurosciences of Montpellier (France). He is an expert in the awake cognitive neurosurgery of slow-growing brain tumors, as low-grade gliomas, a routine which he has developed since twenty years. His fundamental approach is centered on the concepts of the brain connectomics and neuroplasticity, breaking with the traditional localizationist view of cerebral processing. For his innovative work in neurosurgery and neurosciences, he was awarded Doctor Honoris Causa several times, and he was the youngest recipient of the prestigious Herbert Olivecrona Award from the Karolinska Institute in Stockholm. He has written four textbooks and over 335 publications in international journals ranging from neurosurgery to fundamental neurosciences, including cognitive sciences and brain plasticity for a total of more than 20,500 citations and with an h-index of 77. He is member of Editorial boards of many journals (as Brain and Language, Neurosurgery or Neuro-oncology) and ad-hoc reviewer for around 100 journals (over 900 reviews) including: New England Journal of Medicine, Lancet Oncology, Nature Medicine, Nature Reviews Neuroscience, Nature Reviews Neurology; Annals of Neurology, Brain, Cerebral Cortex, Trends in Cognitive Science, Current Biology, etc. He is member of many societies: member of the French Academy of Medicine, member of the French Academy of Surgery, member of the World Academy of Neurological Surgery, member of the Young Neurosurgeons Award Committee of the World Federation of Neurosurgical Societies, member of the Scientific Committee of the European Association for Neurooncology, etc. Prof. Radu Mutihac is Chair of Medical Physics Section, University of Bucharest, and works in Neuroscience, Signal Processing, Microelectronics, and Artificial Intelligence. As postdoc/research associate/visiting professor/full professor he run his research at the University of Bucharest, International Centre for Theoretical Physics (Italy), Ecole Polytechnique (France), Institut Henri Poincare (France), KU Leuven (Belgium). Data mining and exploratory analysis of neuroimaging time series were addressed during two Fulbright Grants in Neuroscience (Yale University and University of New Mexico). His research in fused biomedical imaging modalities was carried out at the Johns Hopkins University, National Institutes of Health, and Walter Reed Army Institute of Research, MD, USA. Prof. R. Mutihac is member of the ISMRM, ESMRMB, OHBM, Romanian US Alumni Association, and fellow of Signal Processing and Neural Networks Society IEEE, as well as referee for several journals of the Institute of Physics (London, UK), Neural Networks (Elsevier), IEEE Transactions on Image Processing, and evaluator/expert for the ISMRM, OHBM, ARACIS, CNCSIS, UEFISCDI, The Romanian – U.S. Fulbright Commission. and the European Commission (FP7, H2020). He published over 100 scientific papers, 12 monographs, and contributed with chapters in other 10 text books. He contributed to more than 150 scientific meetings with posters and oral presentations, seminars, invited and plenary lectures, as well as acting as organizer, chairman, and keynote speaker. Ammar Mallouhi has completed his Specialization in diagnostic radiology in Innsbruck, Austria in 2006 and he was awarded a Venia Docendi in 2007 and working as a professor in the Department of Neuroradiology at Vienna Medical University in Vienna, Austria since 2010. He has published more than 40 papers and Proceedings in reputed journals and Books. He was awarded with several international scientific awards including three “Certificate of Merit” from the RSNA. Dr. Yun Zhou is Assistant Professor at the The Russell H. Morgan Department of Radiology and Radiological Science, and Guest Professor of Peking University First Hospital. He obtained his M.S. in Biomathematics and Ph.D. in Biomedical Physics from University of California at Los Angeles. Dr. Zhou’s research focuses on the quantitative functional imaging with PET, SPECT, CT, MRI, and its applications in neurology and CNS drug evaluation. Dr. Badgaiyan is the Director and Principal Investigator of Molecular and Functional Brain Imaging Laboratory and Director of the University Laboratory for Advanced Radiochemistry. Dr. Badgaiyan graduated from Gandhi Medical College, Bhopal in India and completed his psychiatry residency training at Harvard Medical School. He had postdoctoral training in cognitive neuroscience at University of Oregon, University of Pittsburgh and Harvard University. He also had training in molecular imaging at Massachusetts General Hospital, Boston, and clinical research training at MIT. He is board certified in General Psychiatry and in Addiction Medicine. Dr. Badgaiyan is a member of a number of National and International Scientific Societies. He is the Editor-in-Chief of 7 international scientific journals and a member of the editorial board of over 40 other scientific publications. He has organized a number of International conferences and symposia. Prof. Francesco Signorelli is an Italian board certified neurosurgeon. He was trained in neurosurgery at the University Hospital of Naples, Italy. He was fellow in neurosurgery in London and Southampton, UK, and fellow in vascular neurosurgery and skull base neurosurgery at the Notre Dame Hospital of the University of Montreal, Canada. In 2007 he was appointed associate professor of neurosurgery at the University Hospital of Catanzaro, Italy. In 2011 has rejoined the staff of the neurosurgical and neurovascular department at the “P. Wertheimer” Hospital for Neurology and Neurosurgery in Lyon, France, where he is also involved in teaching medical students and trainees in neurosurgery and neuroradiology. His surgical practice has canvassed the spectrum of neurosurgery together with his scientific activity, with over 3000 interventions, more than 50 articles in peer-reviewed journals and several book chapters and review articles. He is member of national and international neurosurgical associations and of the “Association pour le Développement Médical au Vietnam”, a French humanitarian association. His current major interests are vascular neurosurgery and brain tumors in eloquent areas. Surgical and endovascular treatment of brain vascular malformations is a significant portion of his practice. Walter Bini has completed his diploma from Westminster School, Simsbury Conn. U.S.A. and got postgraduate degree from Universidad de Zaragoza , Facultad de Medicina, Zaragoza-Spain. In 2014 he was the Middle East Chairman of ISLASS. He was Head of Neurosurgery, Sheikh Khalifa General Hospital , UAQ-UAE from 2014-2016. Currently he is Consultant Neurosurgeon, Orthopedic Department, spine section of Lanzo Hospital COF, Lanzo d’Intelvi in Italy and also Visiting Consultant Neurosurgeon, Orthopedic Department of Healthpoint Hospital in Abu Dhabi - UAE.